Too busy to read it right now? You can download this cultural profile in an easy-to-read PDF format that can be printed out and accessed at any time. 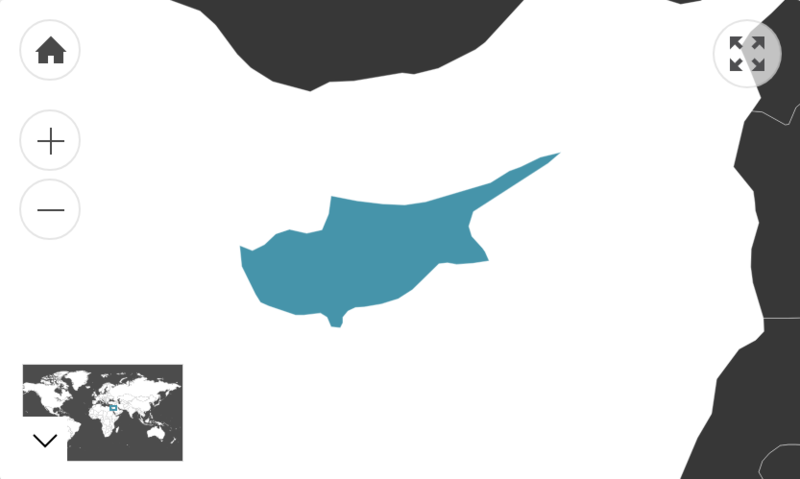 Note: Data only represents the government-controlled area of the Republic of Cyprus. Therefore, the Turkish Cypriot population is largely unaccounted for in these statistics. Note: Data only represents the Greek government-controlled area of the Republic of Cyprus. Therefore, the Turkish Cypriot population is largely unaccounted for in these statistics. Note: These figures are estimates of the government of the Republic of Cyprus. While they attempt to incorporate the population of northern Cyprus in the estimate, the demography is not able to be accurately determined. These figures also exclude Turkish migrants residing in the north of the country. This figure refers to the number of Australian residents that were born in Cyprus. Of those who speak a language other than English at home, 75.9% speak English fluently. Where do we get our statistics? Please provide your email to receive your eBook download and receipt. You will be redirected to our payment portal. The figure of the total population of each country is drawn from the global estimates listed in the CIA World Factbook , unless otherwise stated. Statistics describing the country’s linguistic, religious and ethnic demographics are based on its most recent national census. However, if these statistics are out-dated, unavailable, unreliable, or the country’s statistical department does not formally gather information on the categories listed, the Cultural Atlas substitutes the most recent global estimates cited in the CIA World Factbook . The number of Australian residents that share ancestry with each country is based on the 2016 Australian Housing and Population census. This recorded people’s ancestry by the birthplace of their parents, not distant heritage. The figure describing the country’s migrant population size in Australia is based on the number of Australian residents that were born in that country. Hence, this represents the population of first-generation migrants only, not the entire number of people living in Australia who identify with the culture in question. All other statistical information on this country’s migrant population in Australia (the second section) reflects the 2011 Australian Census data. This was retrieved from the Department of Social Services’ Community Information Summaries . These 2011 figures will be updated with the forthcoming release of 2016 census data relating to migrant communities. You can find a direct link to all these sources under the ‘References’ tab at the bottom of the page. The date this profile was published is also listed here, indicating when these statistics were last updated. The Australian government does not recognise the Turkish Republic of Northern Cyprus. It supports the sovereignty of the Republic of Cyprus as the only legitimate authority on the island. This dominant diplomatic position will be reflected in the summary. However, we are currently seeking more Turkish Cypriots to contribute their knowledge and understanding to the Cypriot profile. If you share this cross-cultural identify, please visit the feedback page to add your insight.